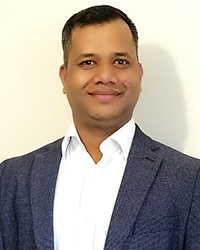 Anand has 16+ years’ experience as a technologist, hands-on software architect involved in the architecture, design, and implementation of Salesforce solutions, microservices architectures, service-oriented architectures, and distributed systems. He cherishes and admires the progressive journey of new technology, including standalone desktops, web, client-server, cloud, mobile, analytics, IOT and AI. He is part of Salesforce Ohana for the last 8+ years working as developer, consultant, solution & enterprise architect. With Persistent System’s Salesforce Practice he is helping Salesforce customers & partners in their digital journey on the world’s #1 customer success platform. He has designed 10+ Salesforce Products or Solutions, deployed 100+ Salesforce applications for various customers in different industry verticals including Healthcare, Insurance, Life Science, Finance, Non-profits, News & Media etc.